Raechel currently works at the Better Business Bureau Education Foundation. In this role, she works with nonprofits and community members throughout West Michigan to improve marketplace and donor trust. She also coordinates the annual Torch Awards to spotlight businesses and nonprofits exemplifying trust. In her work, Raechel enjoys networking with other professionals, providing education on nonprofit best practices, and of course working with volunteers. Raechel received her BS in Business Administration and BA in Community Leadership from Aquinas College. Raechel also owns a small ice cream shop in Comstock Park with her husband. Outside of work, you can find Raechel exploring new restaurants and taking walks with her dog. 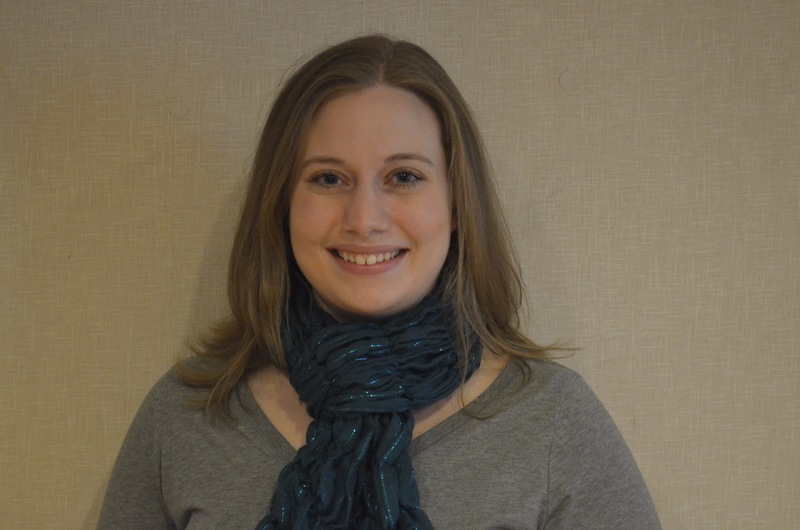 Katelyn Kovalik is Volunteer Center Manager at Heart of West Michigan United Way, serving Kent County. Her role includes service event & project planning, volunteer recruitment, in-kind resource development, and administration of the volunteer management site for The Volunteer Center. Katelyn received her B.A. in Advertising & Public Relations and Master’s in Communications from Grand Valley State University. She is a proud AmeriCorps Alum. In her free time, you can find Katelyn outside & on the water. Lisa Daniell is the Volunteer Resource Center Director at TrueNorth Community Services, providing volunteer support for Newaygo County organizations, as well as internal TrueNorth volunteers. Lisa received her B.A. in Interpersonal Communications from Western Michigan University, with minor concentrations in Social Work and Nonprofit Administration. Lisa is a Board Member for Family Promise of the Lakeshore, a member of the Newaygo County Volunteer Coordinators Committee and an AmeriCorps Alum. Lisa and her husband live in Muskegon and enjoy spending their free time playing board games, swimming and doing other fun activities with family and friends! Megan has been the House Services Director for the Ronald McDonald House of Western Michigan since September of 2009. The Ronald McDonald House of Western Michigan provides a “home away from home” for families of pediatric patients seeking treatment in the Grand Rapids community. Megan oversees over 1,500 volunteers who set foot in the House completing a variety of projects from maintaining the House to preparing dinner. Through her work at the Ronald McDonald House, she has had the opportunity to work with a variety of organizations throughout West Michigan creating partnerships that will benefit the families coming to West Michigan seeking medical care. Prior to working with the Ronald McDonald House, Megan received her bachelor’s degree in Psychology and Business Communications from Calvin College in Grand Rapids, Michigan. Michelle Marciniak has four years non-profit experience and community based knowledge. Michelle currently works for TrueNorth Community Services as the Circles Coordinator. Previous work excelled in community collaboration and networking. Her passions include providing outreach programming to underprivileged youth and developing a strong volunteer foundation. Michelle loves her two dogs and enjoys summertime camping with her family. Paige is a graduate of Oakland University where she earned her B.A. in Communication and English. In her time there she was involved in several nonprofit organizations and was responsible for a wide variety of positions ranging from Social Chair to President. Paige currently works as the Circles Coach for Circles Newaygo County where she provides necessary supports and resources to families trying to get out of poverty. Her role includes case management and oversight of participant and volunteer involvement. Outside of work, you can find her spending time on the water, camping, relaxing with her husband and having living room dance parties with her kids. Katy Payne has been with the Literacy Center of West Michigan for 5 years, celebrating 3 years in her current position as Literacy Coordinator with the Adult Tutoring Program. As Literacy Coordinator, Katy recruits, trains, and supervises volunteers in their role as English literacy tutors. Before joining the staff at the Literacy Center, Katy received her Bachelor’s degree in Psychology and Sociology from Grand Valley State University, and served as an AmeriCorps member. In her spare time, she enjoys cooking, listening to true crime podcasts, and spending time with friends and family. Angie Drier is the Program Coordinator for Senior Neighbors RSVP. She works with Kent County residents that are ages fifty-five and above by placing them with local organizations that RSVP partners with. Volunteer positions range from tutors/mentors for K-3 grades, assisting elders to age in place, providing food security, to working with the police departments and civic & cultural ambassadors. Angie has been overseeing volunteers for over seven years and has been a VMA member since 2008. Her favorite part of being a member is the continued support and ideas received from other VMA members. When she is not at work, Angie loves reading, being outside whenever possible, and enjoys training for long distance runs with her husband and sister, traveling to different cities for races and fun times. Spending time with her daughter & son-in-law and now her son, who is home from serving in the Army, is among her top favorite things to do. Deb Covell is the Senior Neighbors Senior Companion Program Director. She works with low income volunteers 55 years old and older that serve lonely frail older adults in Kent County to help them live more active and healthier independent lives. Deb has been working with non-profits since college where she graduated with her bachelors from Western Michigan University. She is a dedicated person that loves to help people. She dedicated her time as a humanitarian at the following organizations: AmeriCorps, American Red Cross and The Leukemia & Lymphoma Society. Deb is from the Grand Rapids area but has enjoyed living all over the world with her three children. She loves spending time outdoors, running, hiking, reading and spending time with her family.